Author, political activist and salonnière, Germaine de Staël has become the focal point of groundbreaking research in women’s studies, in performing arts, and in language/translation theory. In this multidisciplinary volume, a team of scholars concentrates on the vast range of her political and cultural engagements, both during and after the French Revolution. In this collection of studies, which examine issues as diverse as citizenship, immigration, abolition or constitutional liberalism, Staël’s stance as a champion of moderation against the perils of extremism and polarization comes clearly to the fore. Contributors shed new light on the Groupe de Coppet, the circle of which she was the heart, and on the cosmopolitan networks she created within and beyond Europe. Other articles underline and reassess Staël’s formative influence on national cultures distant in space and time, redefining her Italianism in Corinne ou l’Italie, analysing the British reception of her Considérations and exploring the impact of De l’Allemagne on American intellectual life. 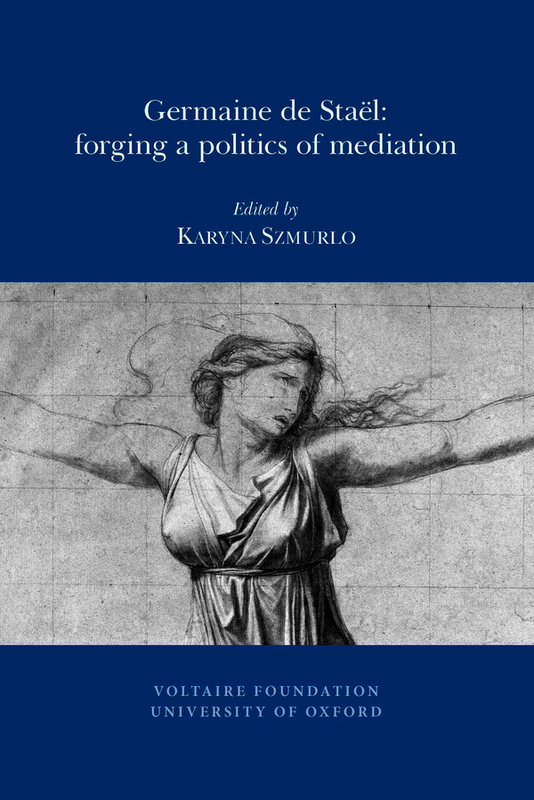 Germaine de Staël: forging a politics of mediation highlights Staël’s pioneering place in the history of global interaction. She emerges as a truly modern thinker as well as an agent of multicultural exchange. ‘This volume with its extensive bibliography is an absorbing and timely addition to Staël scholarship and will appeal to a broad readership through its impressive sweep of writings’. The collection, made up of seventeen contributions by an impressive number of established Staël scholars, […] helps to give the measure not only of Staël’s own intellectual achievements but also of the scale of her imaginative and analytical work that has come to be needed to bring their various interlocking dimensions back into full historical view.